Released today, the national study of 9,774 high school students and 498 teachers is the eighth in a series of surveys of high school students and teachers commissioned by Knight Foundation over the last 12 years. This year’s survey incorporated several questions from Gallup’s Free Expression on Campus survey of college students released in 2018 in order to compare the two. 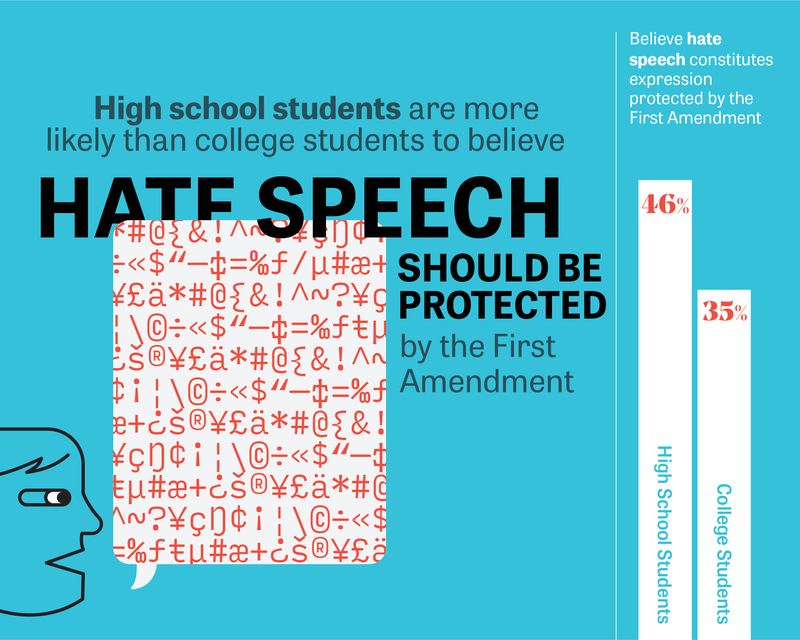 High school students show strong support for the First Amendment, but what those rights mean is increasingly up for debate. 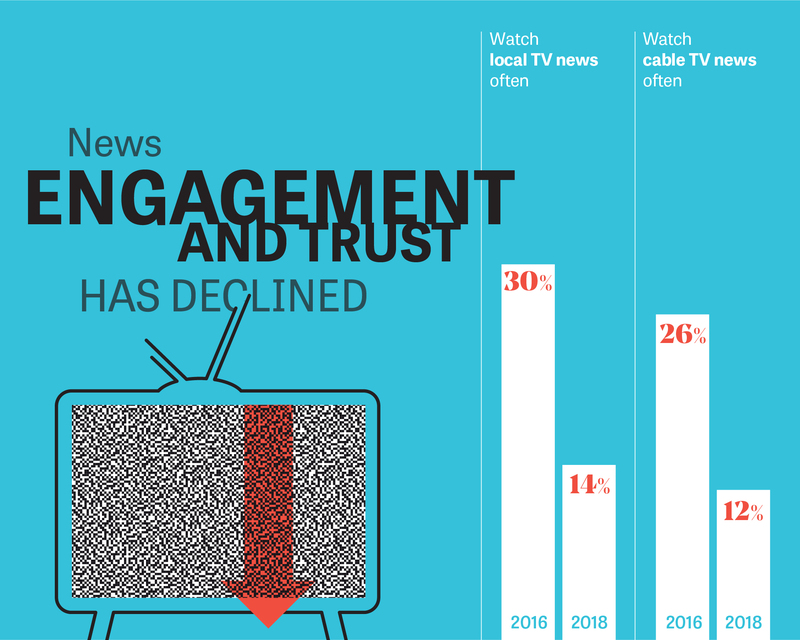 Technology, along with changing perceptions of the media and who gets to deliver news are creating gray areas. These competing views and habits can have an effect on the freedoms that the First Amendment guarantees. Understanding them will help to preserve our most fundamental rights into the future. 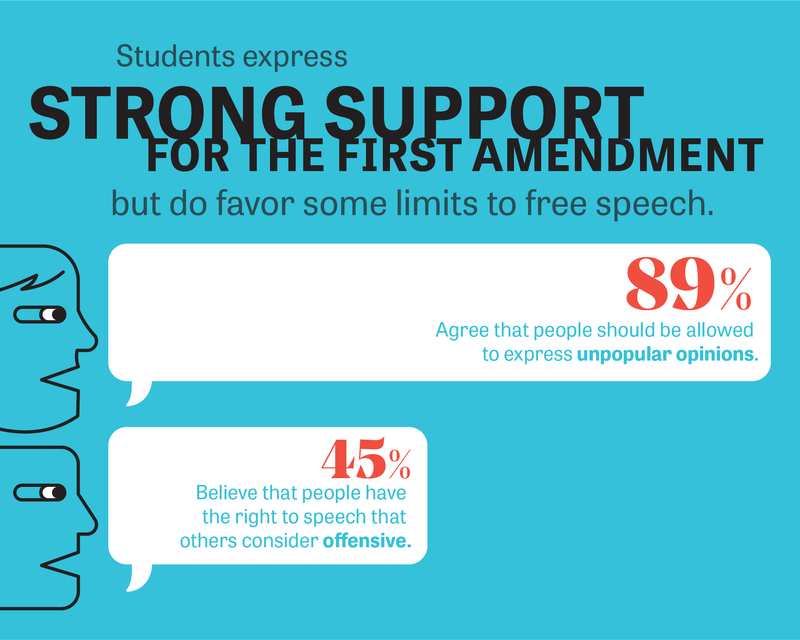 Students express strong support for the First Amendment, but do favor some limits to free speech: An overwhelming majority of students support the right to express unpopular opinions (89 percent), however only 45 percent of students believe people have the right to speech that others consider offensive. Still, when forced to choose which is more important, students by a 5-to-1 ratio (65 percent to 12 percent) say protecting free speech is more important than protecting people from offensive speech. 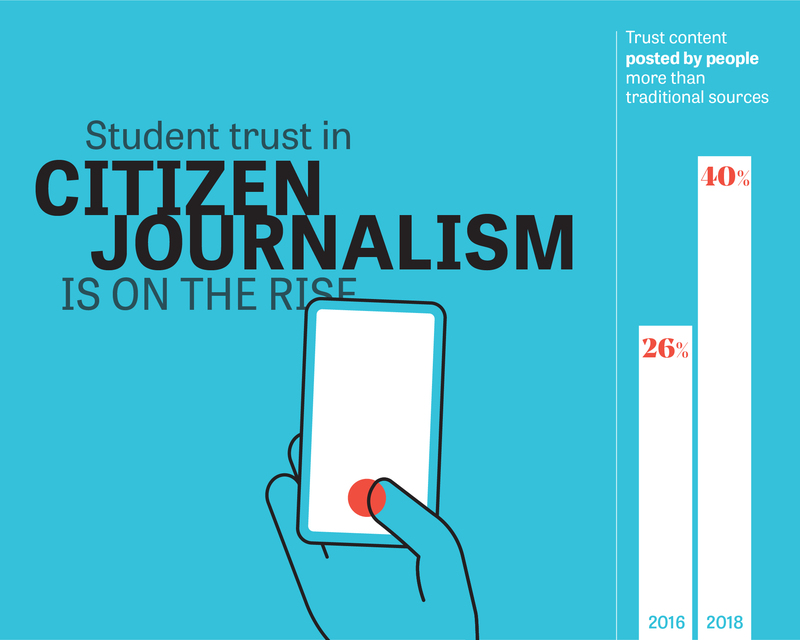 Student trust in citizen journalism is on the rise: In 2016, 26 percent of students said they trusted content— pictures, videos and accounts— posted by people more than traditional news sources; this number grew to 40 percent in 2018. Teachers also show large increases in trust for citizen journalism efforts. 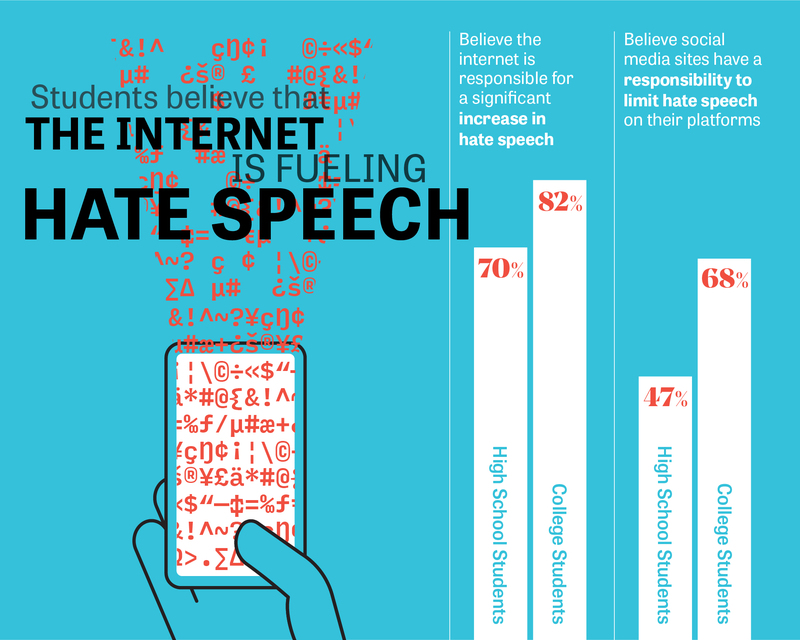 Students believe that the internet is fueling hate speech: Seventy-percent of high school students believe the internet is responsible for a significant increase in hate speech, though college students are more likely to think this way (82 percent). 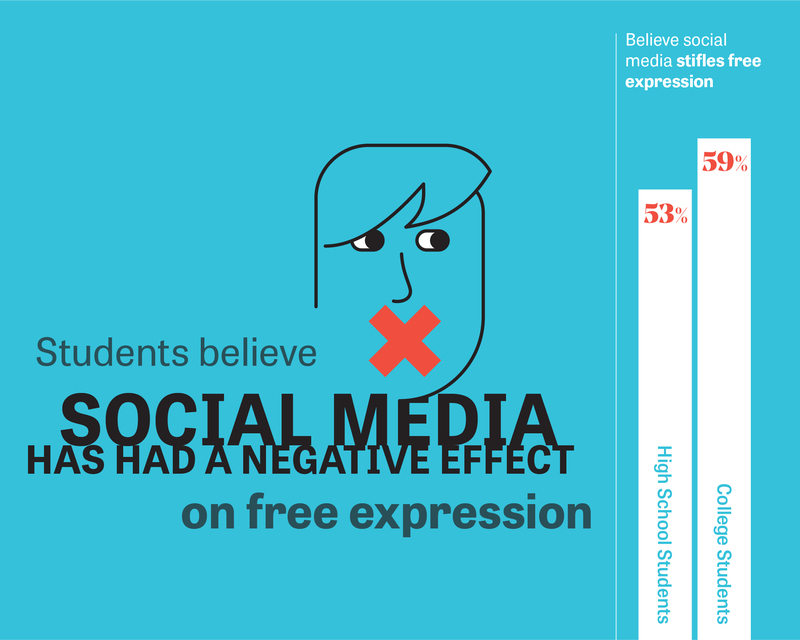 College students (68 percent) are also more likely than high school students (47 percent) to believe that social media sites, like Facebook and Twitter, have a responsibility to limit hate speech on their platforms. 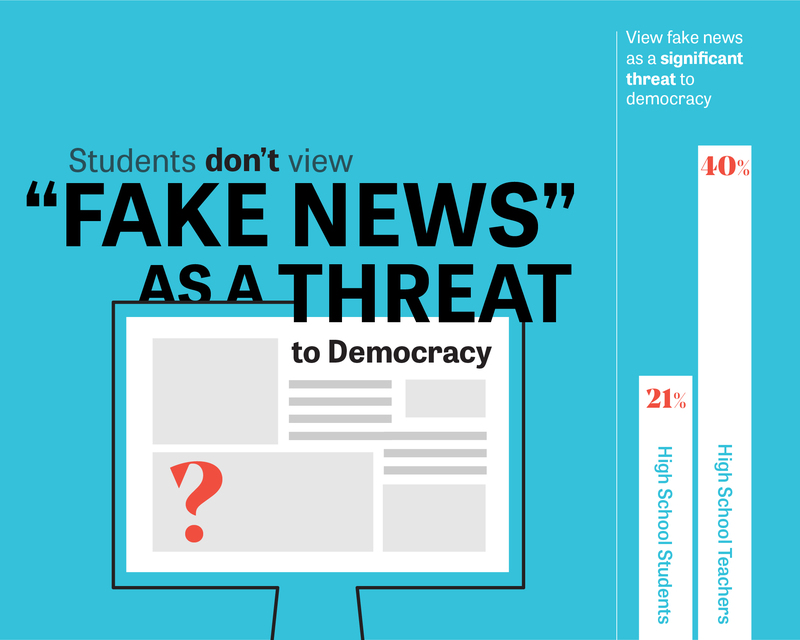 Students don’t view “fake news” as a threat to democracy: Less than a quarter (21 percent) of high school students view fake news as a significant threat to democracy. In contrast, 40 percent of teachers view it as a threat our our democracy. Most students say they have come across fake news stories, yet only 20 percent say they are very confident in their own ability to recognize inaccurate news. A majority of students believe that both the government and social networking site operators bear some responsibility to prevent fake news. Download the full report at: kf.org/fofa18.